Continuing series of QR Code drawings. Check back for availability on additional pieces. 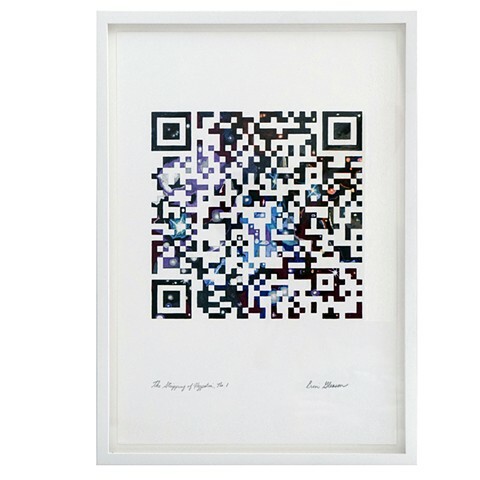 The hand-drawn QR code reveals a second artwork when scanned, only to exist as long as the technology to read the codified language is used. 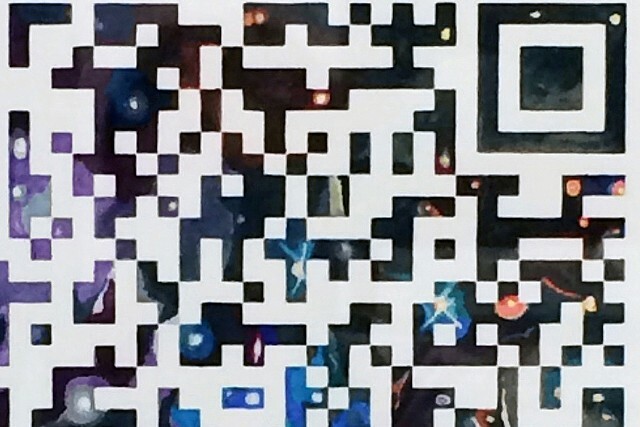 Over time, like other lost languages, the QR language will become more aesthetic symbol than signifier. The transition of language from the functional to the symbolic and aesthetic echoes that of women in history, including Hypatia of Ancient Alexandria – one of the few women acknowledged in ancient records as an important astronomer, mathematician, and philosopher – who was brutally murdered and publicly shamed. From a distance, the drawing appears as black and white; the layers of color appear when viewing the artwork closer.